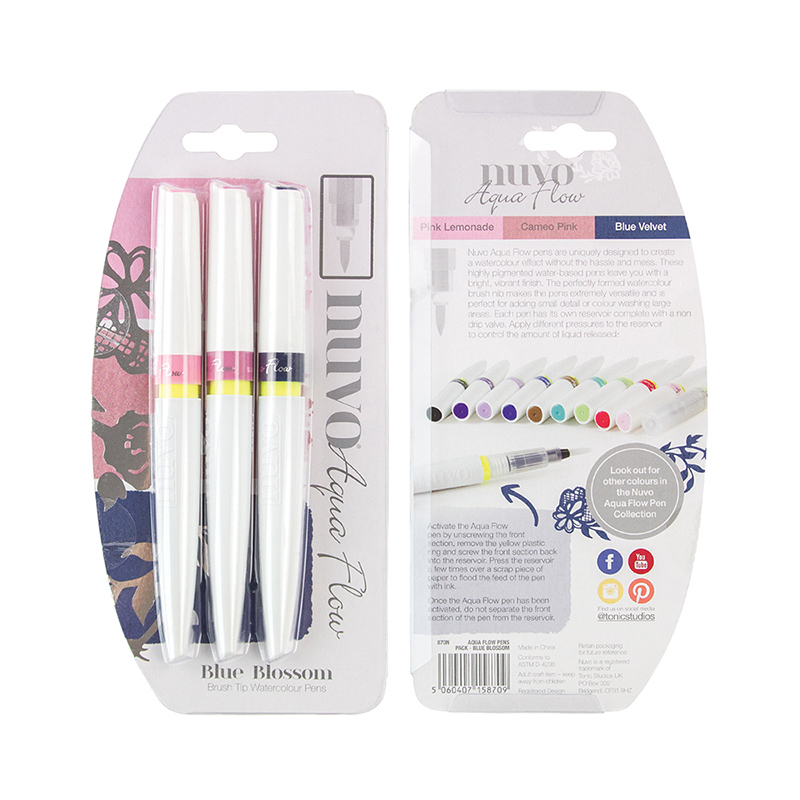 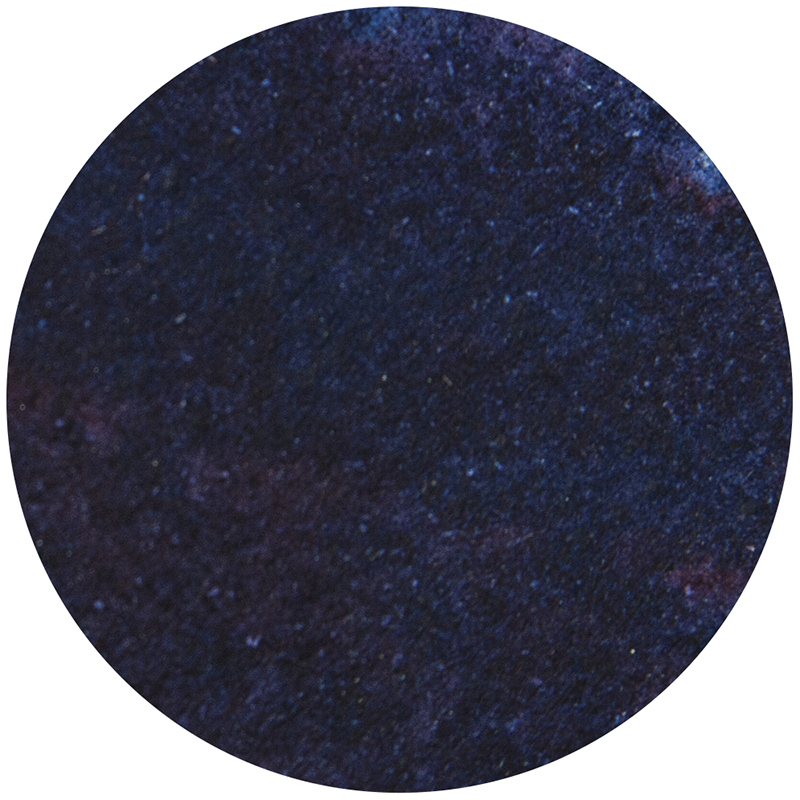 Bloom into your next project with the Blue Blossom Aqua Flow watercolor pens from Nuvo. 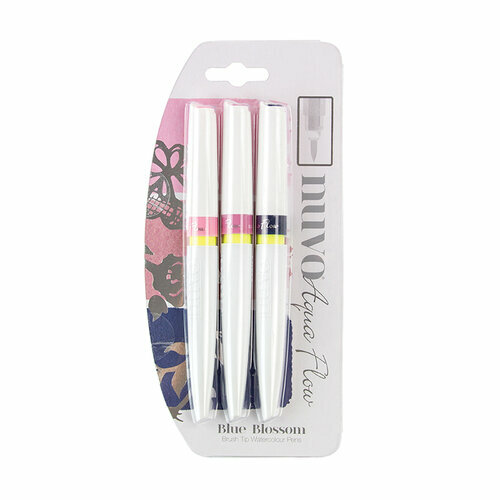 There are 3 brush tip pens included that have a medium sized synthetic nib. 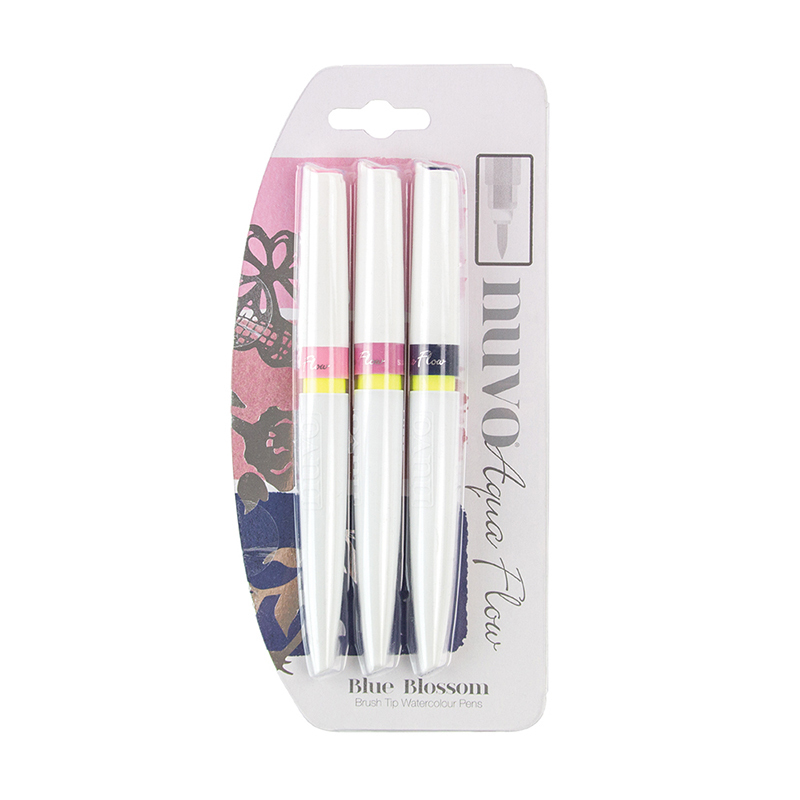 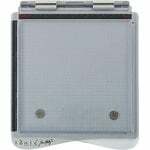 The highly pigmented, water based pens feature a drip valve and reservoir to prevent them from leaking in storage.